Durable, comfortable and concave design. Inter layer fill with Silicone. Put it over your existing seat, cinch it up, and hop-on. Gel cushion to absorb shock and soften your ride. Best choice for long-distance riding. Anti-slipping lining with adjustable drawstring. Glue points to ensure zero slip. 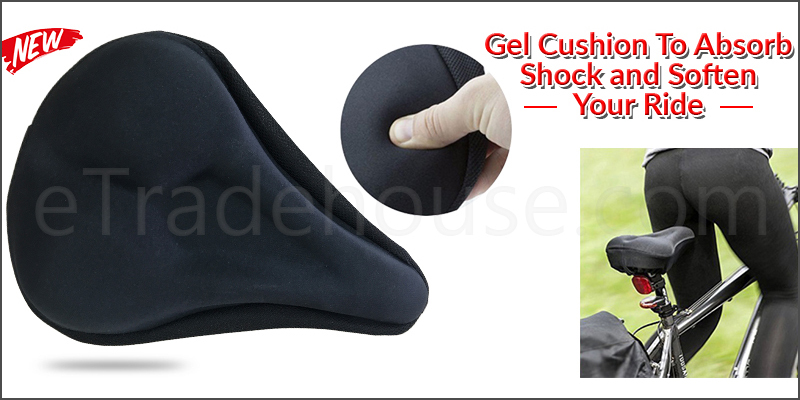 1x 1x Cycling Bike Gel Padded Soft Saddle Seat Cover.